This is what I love about what I do: Being trusted by my clients to create and deliver what they expect from me, the best of my art. 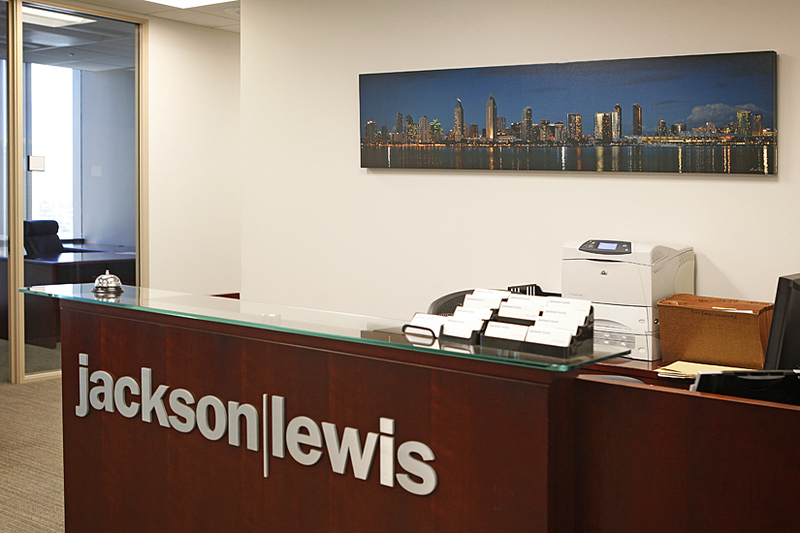 Jackson Lewis, one of the largest law firms in the US (780 attorneys practicing in 55 locations nationwide) commissioned me to produce five pieces of art for their San Diego office. After discussing various locations in the San Diego area, I went on a five-day photo shoot to create several large panoramic images. After two days of heavy rain, no sun, and not a single shot produced, the weather cleared up and worked on my favor unveiling beautiful heavy clouds, thunder, rainbows and inspiring contrasts. I had a magical time and amazing photo opportunities for the rest of the shoot. The five final images selected are displayed in the lobby of the firm as well as the three conference rooms. They are printed on stretched canvas and the longest art pieces are eight feet long. I hope that you will enjoy looking at them. 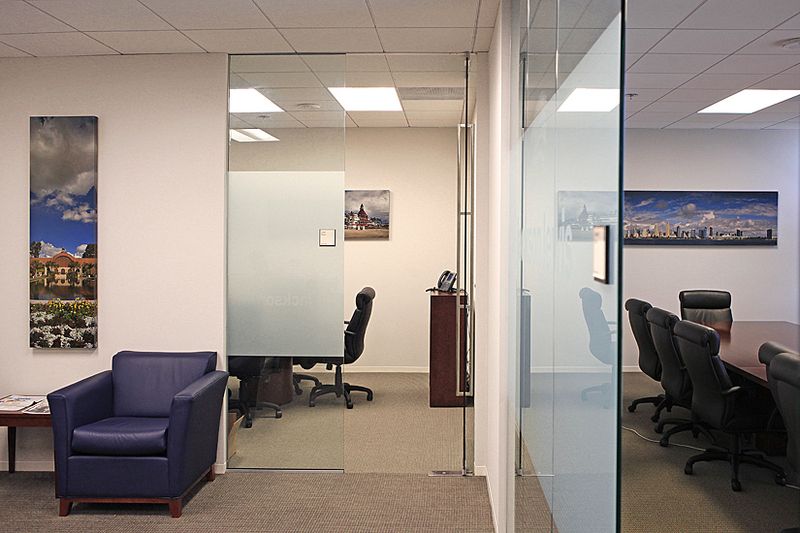 Corporate officials all agree that having a piece of art in an office setting sends a great message to their clients. This is also very true, as the visual feeling one gets when entering an office will enhance the opinion one has about that firm. Many people agree that first impressions are the most important thing when doing business, and having a nice painting will enable you to achieve that feeling in your clients. The message that you send will affect your future business endeavors with that client”. What some of the surveys have shown is that having a piece of art greatly boosts the result of the people in an office setting, The survey conducted says that people who work in an office show much better results if they have a picture hanging on the wall which has been done by a prime artists.